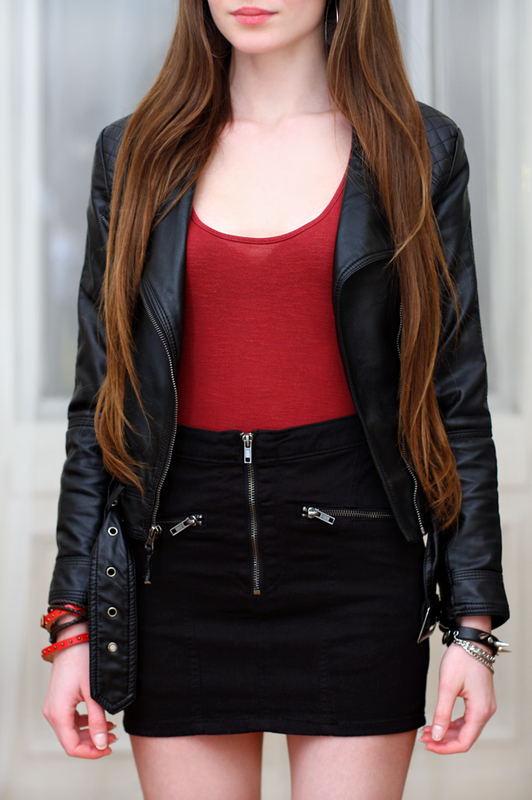 Few days ago I bought on sale at H&M a cool mini skirt with zips ;) It's ideal for rock outfits - so I added thereto a blood red top, a black leather jacket from Vivili.com and three leather bracelets. The first one, with spikes and silver chains I found at Romwe.com some time ago, the second one - brown with a cross pendant I bought quite recently at ChicNova.com and the last one, red with metal studs comes from MerrinAndGussy.com. 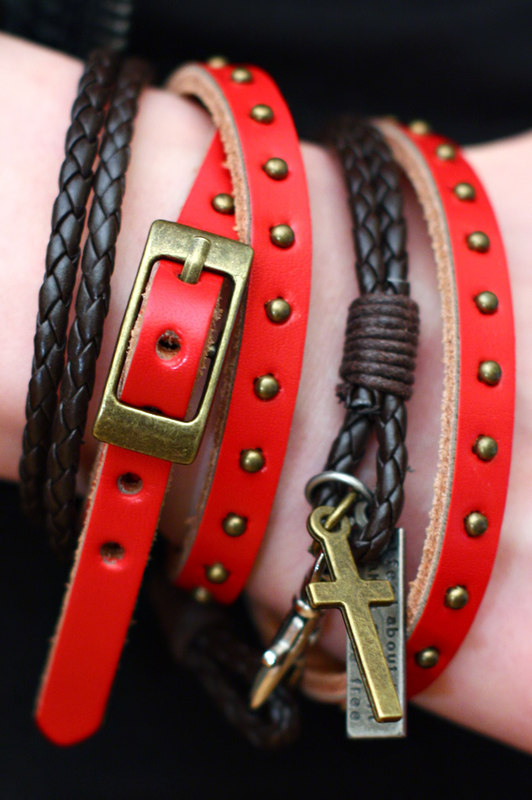 Me encanta el look, las pulseras son geniales!!! You look really cute in this outfit! Amazing post, your blog is totally adorable!